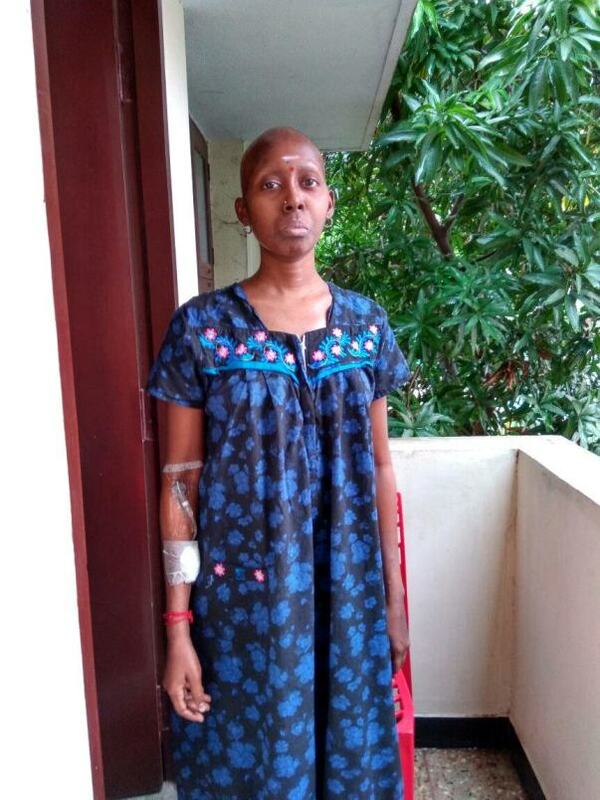 Save My Sister Devi From Cancer! 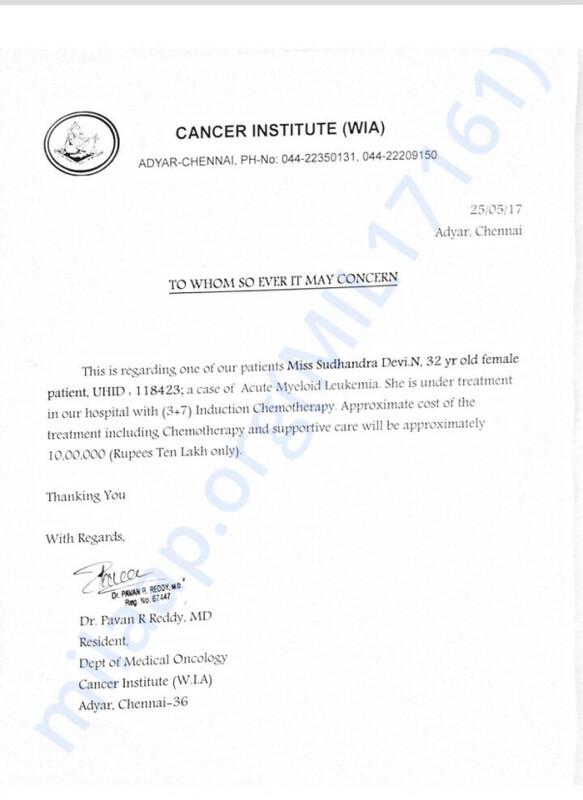 At age 32, my sister Sudhandhra Devi has been diagnosed with blood cancer (Acute Myeloid) on 17th May 2017 and is now fighting the battle of her life. Receiving a cancer diagnosis is devastating emotionally and financial burden of surviving a cancer is truly challenging. We are a middle class family who make our living with our monthly salaries. We lost our mother about a year and a half back, my father is a retired clerk from Punjab National Bank, my youngest sister works with the State Bank Of India in a clerical position. With that said, the road ahead over the next few months will definitely be a challenge. At this stage raising Rs. 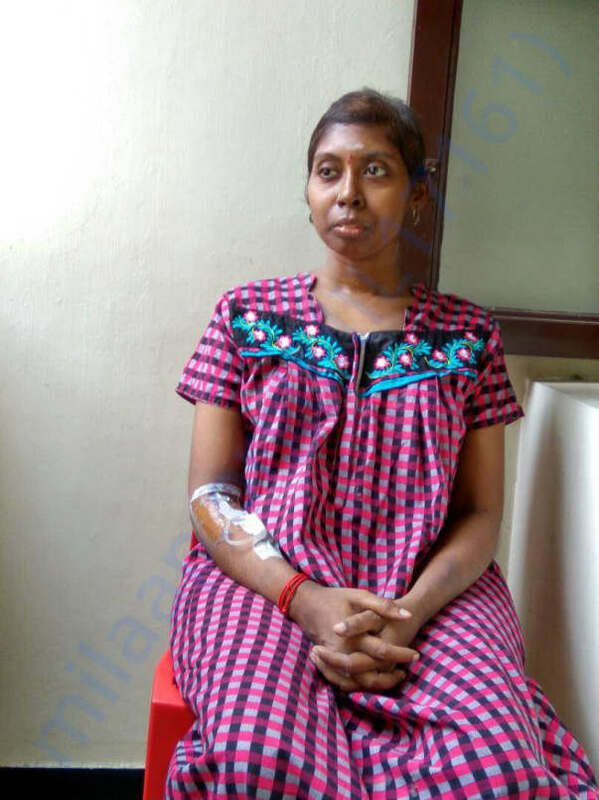 10-15 lakhs for her treatment is not something we alone can really manage. While we are pulling in our savings, it will only cover 25% of the estimated costs. The medical bills are already coming in and will continue to add up. The treatment plan will include frequent blood transfusions, chemo, surgery and medications which will be determined based on findings during tests and treatments early next week. 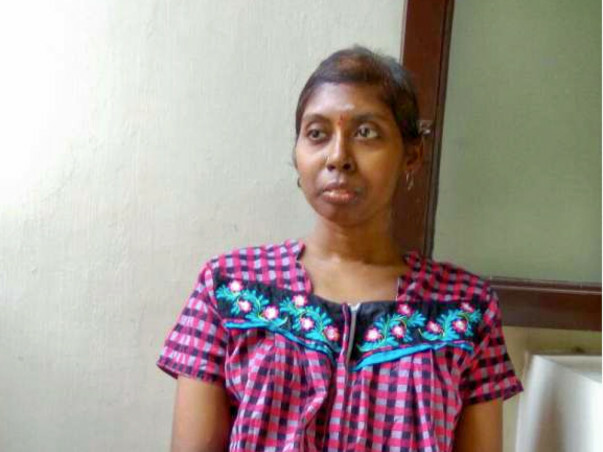 Devi will undergo treatment almost immediately to deal with the cancer. Every donation is greatly appreciated and will be a huge help to her over the next few months. Unanticipated costs that will come along during this battle. If at the end of her treatment there is surplus money, all funds will be donated to help other people in their fight against cancer. Thank you for reading and considering Devi’s hard road ahead. We will really appreciate any donation no matter the size. Every donation helps, and if you cannot donate, please share this story and please pray. We often dont know the reasons why things happen and are hard to understand but with faith and prayer we know that miracles happen. Your prayers are going to give us the strength to defeat her cancer. Our family is deeply saddened to inform you that Devi passed away on 2nd Jan 2018 @ 1915 hrs at Jipmer hospital. She had been admitted to hospital on new year when we found her platelets n WBC were low during a random blood test. Doctors suspected a cancer relapse, and were supposed to do a couple of tests to confirm it. 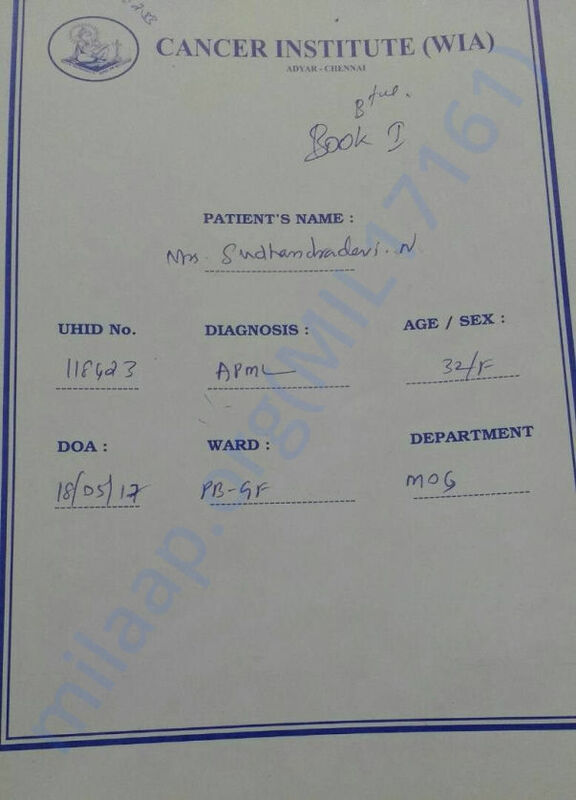 But because of the low platelets Devi had developed internal hemorrhage around 2nd Jan afternoon and passed away the same evening. 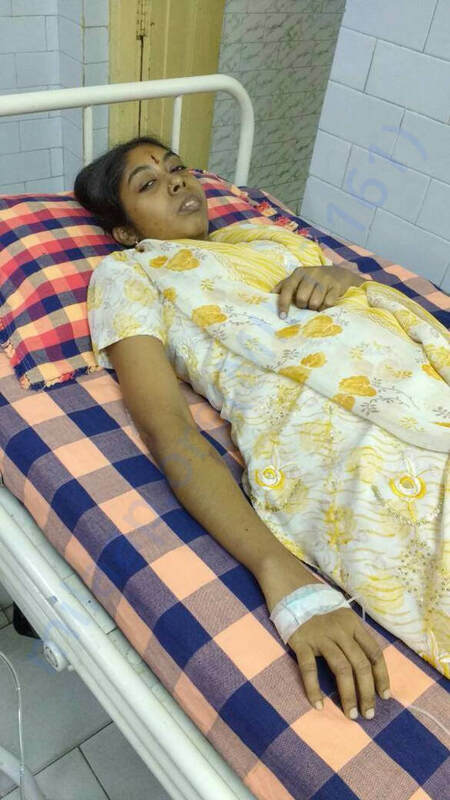 I request your prayers to help Devi's soul rest in peace. We stand indebted to you all for the tremendous support. 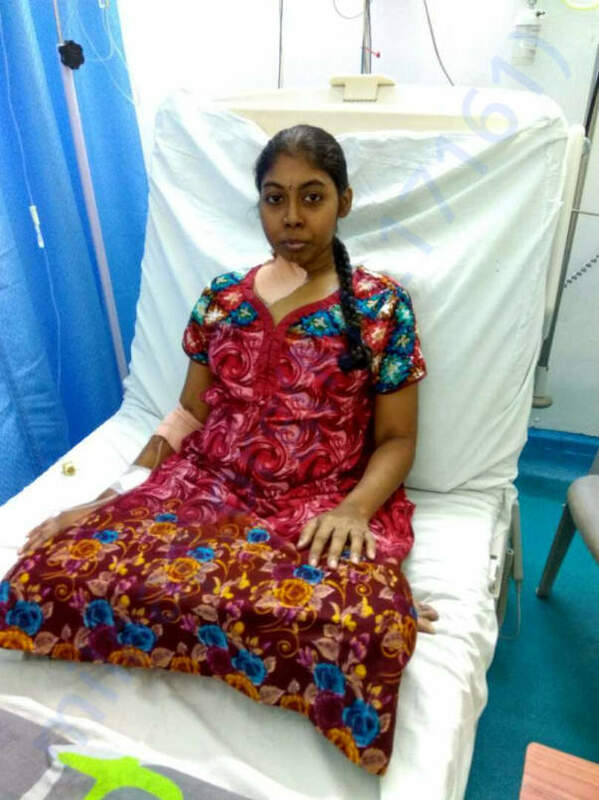 Every penny of your contribution helped Devi get the best possible medical care. Devi's 4th and final chemo concluded on 3rd September and she's going through the side effects of it. She was moved to the ICU last week for 4 days since her BP dropped and she developed mild Sepsis which is being treated now. God's grace and your prayers, situation is under control and she should be completely fine in another 7-10 days time. Post this, Devi will be out of the hospital once for all by the Divine's grace. 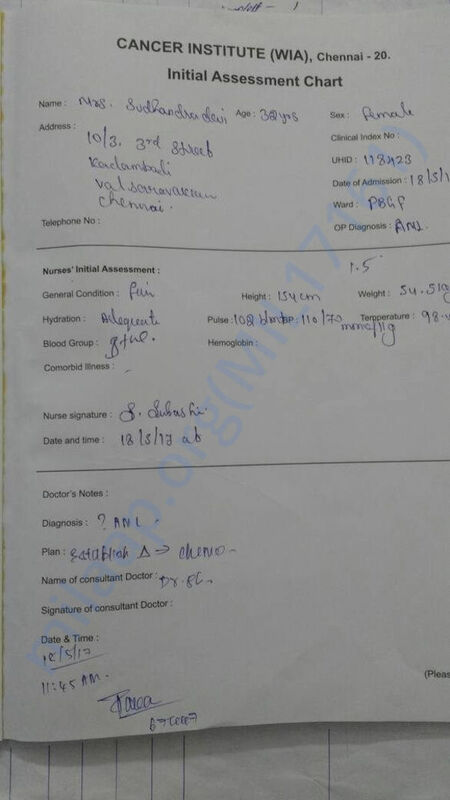 We will have checkups done at regular intervals to track her health. Since the Oncologists have asked us to be careful about a relapse, we are planning to change Devi's diet and lifestyle to ensure she enjoys the best of health. I thank each one of you for your support, without which Devi's second chance at life would not have been possible. I request you to please continue to keep us in your prayers. I will share an update by the end of this month once Devi with the doctor's advice and future plans, once she is out of the hospital. Here’s a quick update on Devi. Her 3rd chemo concluded on 2nd August and she was kept under observation at the hospital till 16th August. Her 4th (final) chemo will start on 27th August, post which, we hope she would enjoy a complication free existence and ultimately, “disease free survival”. After a turbulent few months and some very uncertain times, we now feel relieved and are confident that the 4th chemo also will go well by God’s grace and all your strong prayers. We are all unspeakably grateful to you for having given Devi this miraculous gift - A second chance at life - A priceless gift indeed! Please do keep up your prayers for Devi to make a full recovery, living a healthy and complication free life hereafter. Thank you very much for all that you have done! God Bless!! Devi @ my home after the 3rd chemo.